I’m allergic to [insert food name here], what can I use instead? The most common keto foods that people are allergic to are dairy, eggs, and nuts. If you’d like even more dairy alternatives for virtually every keto dairy ingredients, scroll down to the end of our dairy-free keto guide. Flax Seeds. Finely ground flax makes an excellent binder. It has a nutty flavor that works best in recipes for almond or coconut flour baked goods and pancakes. Use one tablespoon of ground flax seeds and three tablespoons of water to replace one egg. Silken Tofu. Silken tofu is a softer, silkier form of tofu that makes a good egg and dairy replacement. It is relatively flavorless but it can make baked goods dense, so it’s best used in brownies and some keto quick breads and cakes. Use 1/4 cup of puréed silken tofu for 1 egg. Baking Soda and Vinegar. This is a decent egg substitute for fluffier baked goods. Use one teaspoon of baking soda mixed with one tablespoon of white vinegar for one egg. The Vegg. The Vegg is a 100% plant-based egg company. By using only natural ingredients, The Vegg has created products that simulate the taste, texture, and function of egg for use in your favorite dishes, all for about the same cost as real eggs. Follow Your Heart’s VeganEgg. Follow Your Heart is another plant-based company that makes vegan alternatives of everything from cheese to mayonnaise. They even make vegan eggs! Their VeganEgg is advertised as a vegan whole egg replacement that has the taste and texture of real eggs. You can use it to bake keto-friendly cookies, muffins, and cakes. The VeganEgg can also be used to cook up fluffy scrambled eggs and omelets as well. 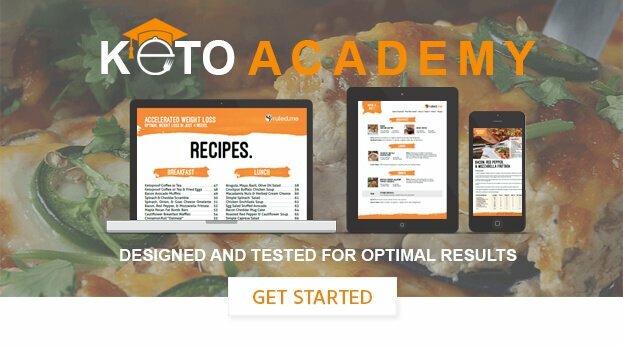 The only problem with these egg replacements is that they don’t contain as much fat or protein as a whole egg, so make sure you are making up for this by having plenty of fatty meats, cheese, and plant-based fats and protein (you can learn more about plant-based keto nutrition by clicking here). Use seed based flour instead of nut-based flour. The simplest keto flour alternative you can use is Sunflower Seed Meal or Pumpkin Seed Meal. All you have to do with these alternatives is replace almond flour/meal with the same amount of sunflower seed or pumpkin seed meal. To learn more about these keto flours, click here. Snack on pumpkin seeds and sunflower seeds instead of nuts. Make sure you track the carb and calorie content of the seeds you are eating because they are higher in calories and net carbs than you may think. Use seed butter instead of nut butter. There are a handful of seed butter products on the market now. One of the most popular is sunflower seed butter. Just make sure you purchase the seed butters that have no added sugars and track the carb and calorie content of the seed butter product you use. For those that have food sensitivities, we have some recommendations as well. The two main keto-friendly ingredients that people have a sensitivity to are nightshades and gluten. Although you probably won’t encounter gluten while you are on the keto diet, make sure you read your labels carefully. Some keto-friendly products (e.g., keto baked goods and soy sauce) do have gluten in them. Whether you are gluten-free or not, it is best to make most of your food at home using keto recipes and have the rest of your calories from minimally processed snacks like nuts and cheese. For Tomatoes — In certain dishes, strawberries or strawberry sauce can swap the acidic, slightly sweet profile of tomatoes. Pumpkin and squash-based sauce can replace tomato sauce for pasta-based dishes. For Bell Peppers — Zucchini, celery, and cucumbers can sub in for the crispy deliciousness that bell peppers provide in some dishes. Radishes, when used in cooked dishes, can sub in that peppery flavor that red and green bell peppers are known for. For Chili and Cayenne Pepper — Black and white pepper come from a different plant and aren’t nightshades. Use these, along with turmeric, cumin, cloves, and ginger, to add a kick to dishes that you want to keep nightshade-free. If you need to replace nightshade-based sauces, you can try fish sauce, coconut aminos, oyster sauce, or Worcestershire sauce. For Eggplant — Portobello mushroom caps can substitute for eggplants in baked dishes. For keto eggplant noodle recipes, try using zucchini noodles or shirataki noodles instead.